A play about the life of poet Sir John Betjeman with Edward Fox in the lead-role during 2017 (check listings first). 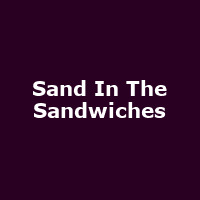 "Sand in the Sandwiches celebrates a man famous not only for light verse and laughter, but for his passions, his sense of purpose and his unforgettable poetry. Embracing his delight for nostalgia and delicious irreverence, Sand in the Sandwiches travels through Betjeman's boyhood and adolescence, to life as Britain's poet laureate, presenting a hugely entertaining insight into the world of this much-loved poet."